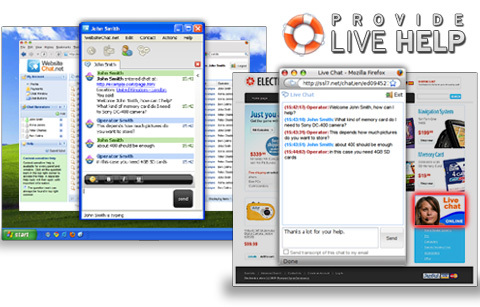 Web-Based Live Chat: Good for Business? Live online sales and support is always a boon for business, right? That depends — in some cases, poorly implemented live chat at your company site can turn away customers. Deploying it the right way is key. 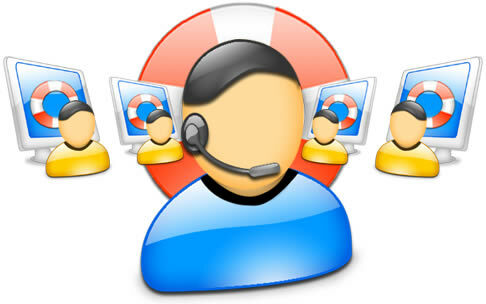 Depending on how you deploy it, live chat on a company website can be a boon for business or a terrible calamity. For some, it’s like adding a crack team of ace deal-closers who contribute directly to the bottom line. For others, it’s like hiring a surly, inattentive sales clerk who sends customers fleeing for the virtual door. One example on the plus side: Live chat on the LaptopMD+ web site nabs three or four extra customers a day, or about 10 percent of total customer volume, figures Alex Mouravskiy, who works in online marketing for the Manhattan-based computer repair company. At Liberty Science Center in Jersey City, N.J., live chat is pumping up sales levels with an average of 50 instant chat conversations a day. However, Evan Hamilton of the eight-person startup UserVoice, which provides customer feedback tools, says his company has given up on live chat. “We just didn’t have time to do it,” he explains. “Chat is very disruptive.” It also set high expectations about staff availability. Using online chat for your business might depend on how you deploy it, the expectations and needs of your customer base, and even the technology components you use. Increasingly, customers expect instant communication in their daily lives. They want to know a living, breathing person is at their beck and call. So, what happens when they visit your website and have a question or seem to hover over a certain page without making a decision? If your customer has to wait for an email reply or take the time to call, the moment might be lost. Instant chat enables your customer to ask questions on impulse and can even allow you to nudge them a bit, asking if he or she needs assistance. 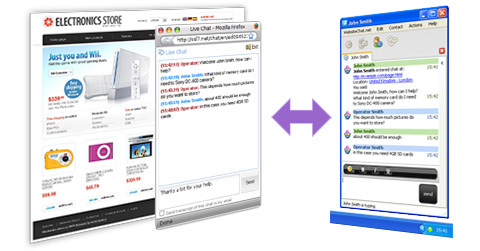 A live chat option on your website gives you a better chance of converting browsers into buyers. Your initial outlay is likely to be modest, from free widgets to systems that cost $5,000 to $6,000, and live chat might already be included with a unified communications package like those from Sprint, Cisco, Microsoft, and AT&T. For small to mid-sized businesses, instant chat can be one of those tech tools that allows your company to appear bigger than you really are. For instance, notes Cooper, each IceWarp staffer may use three or four different fictional identities in live chat each day. “You’re playing a little bit of a game there by disguising the size of your company,” he says. “A lot of companies that use instant chat don’t offer contact for sales and support. If all they have is instant chat, and it’s lousy instant chat, I’m moving on,” he says. — Know your audience: Live chat is more useful if you’re a consumer-oriented company. If you’re working business-to-business, you might be better served building a long-term, personal relationship with your client, says Wisdom. Instant chat lacks intimacy. — Define how you’ll use live chat: Do you intend to staff your chat function 24/7 or limit the hours? Customers might be frustrated if they expect to chat and are instead directed to e-mail instead. A quick response time is critical, says Mike Faith, CEO of headset specialists Headsets.com. “Ninety-nine percent of our customers who chat with us get a friendly response in less than 30 seconds,” Faith explains. “What’s the point of instant chat if you have to wait two minutes to get a response?” While customers will likely understand if your very small business isn’t on chat 24/7, you do want to expand hours beyond the usual 9-to-5 business day, Wisdom says. 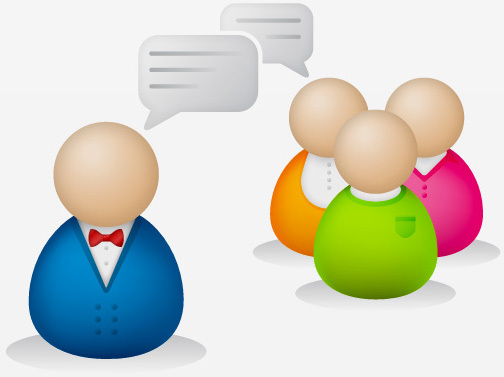 — Evaluate chat solutions: Online forums can be a good source of information about solutions. LaptopMD+ went with an open-source client, PHPLiveChat, avoiding service charges and allowing the company to tweak and customize the solution, Mouravskiy says. However, doing so requires strong IT support. Consider whether you can support the chat function yourself or whether you’ll be better served with outside help. — Find and train chatters: “Not everyone can do chat,” advises Faith. “Thinking that a good phone person is a good chat person is a mistake to avoid. Good phone people are patient and relaxed. Good chat people are multi-taskers who can drive the pace needed to handle multiple chats quickly.” Train chatters to meet your expectations and establish that chat is a priority so your staff takes it seriously. But first, consider how chatting might impact your employees. The small team at UserVoice simply found it too time-consuming since they don’t have one employee devoted solely to customer service, says Hamilton. “Our productivity dipped immensely when we started doing live chat,” he says. In the end, live chat adds a personal touch — people like to know you care about them. Implemented correctly, customers may respond in a way that dramatically increases revenue. Have something to say? Add a comment!